Planned gifts represent your life’s work and reflect your values. A planned gift communicates your legacy; it tells a story of what you hold most important in your life and community. Planned giving makes it possible for you to make a generous contribution while preserving or even enhancing your lifestyle. The 1937 Circle recognizes those who have chosen to support the Boise Art Museum through their wills, estate plans, life income arrangements, and major planned gifts. Contributions received as a result of charitable planning help build for the future by supporting the programs and activities of the Museum in perpetuity. 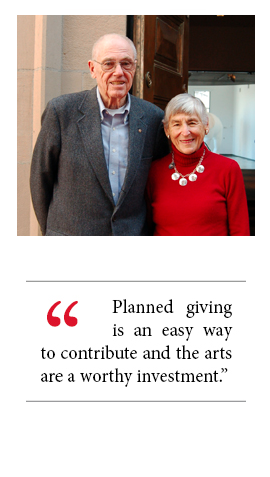 Bill and Gini Woolley became involved with BAM during the early stages of Collectors Forum, a membership group of art appreciators who are dedicated to the growth of BAM’s Permanent Collection. 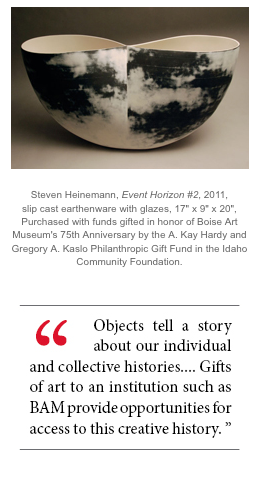 This important group creates a lasting legacy by donating funds toward the acquisition of works of art that add depth and value to the Museum’s Permanent Collection, which will benefit future generations of Idahoans. Beyond her own enjoyment in leading tours, Mary Lou noticed another result of the BAM school tours. 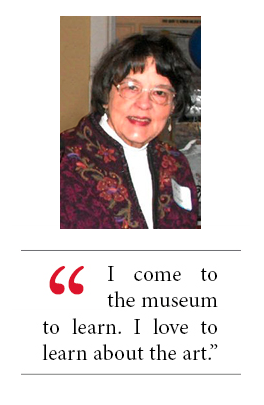 “I really like what the docent program does for the community, especially the school children. 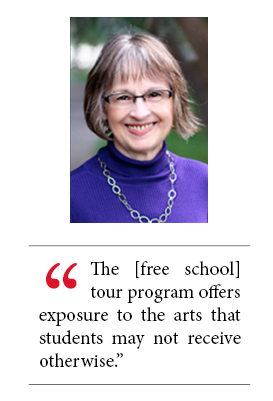 The tour program offers exposure to the arts that students may not receive otherwise. For some students, the school tour at BAM might be their first time visiting a museum. The tour is a fun way to learn and they’re not graded on the projects they complete so it offers an alternative learning environment. I always enjoyed being a part of that.” Mary Lou hopes that her legacy gift will help the Museum’s educational programs continue to flourish, giving more Idaho students access to the arts. Besse began volunteering at BAM as an Art Ambassador in 1999. She spent her time greeting visitors to the Museum and informing them of the current exhibitions. In 2002 she took on a new challenge and became a BAM Docent, leading tours through the Museum exhibitions. Her involvement with the Docent Program allows Besse the opportunity to be both a student and a teacher. “I come to the museum to learn. I love to learn about the art.” She continues to share her knowledge of each exhibition with visitors and student groups. Even with regular visits to the Museum, Besse says that there is always something new to see or a new way of seeing. She savors the less tangible impact that art has on the viewer. “When I visit BAM I can enjoy beauty in front of me, on either side, and above my head. Beauty inspires awe. It is what makes one take a moment to pause, observe and contemplate.” These reflective moments are what Besse enjoys most about visiting the Boise Art Museum. Through her legacy gift, Besse hopes to support the core strength of BAM’s Permanent Collection so that others can enjoy and appreciate the Boise Art Museum as she has. 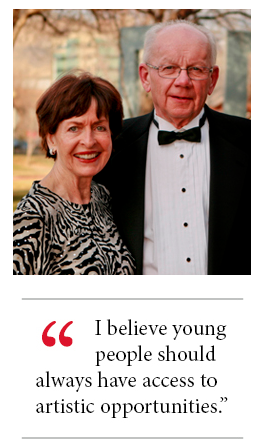 She believes that making a planned gift to BAM is an important investment in the future of the Boise community. Gregory Kaslo lived much of his life in New Mexico where the artistic heritage is rich and vibrant. When the couple moved to Boise from Santa Fe, Kay served on numerous committees, including the Art Acquisitions committee of Collectors Forum and the museum’s Collection committee. She also served as a Trustee and was a member of the Executive Committee. Terry Bowman’s interest in art began through his own practice as a painter. He and Julia began collecting ceramics by John Takehara in 1982 and eventually sponsored John’s Ceramic Tour of the Northwest. In 2007, the Bowmans moved back to Boise and became members of the Boise Art Museum. They became more involved with BAM through the More Than a Pretty Face program, commissioning works by local artists Divit Cordoza, Francis Fox, and Christine Raymond. 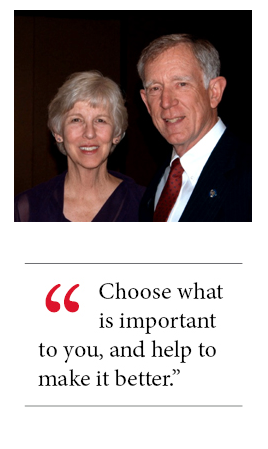 Tom and Marilyn Beck have been supporters of the Boise Art Museum since 1975 when Marilyn joined the Beaux Arts Société, an organization of women who were fundraising for the Museum. “I had been a teacher before and had an interest in visual arts and the cultural community in Boise,” Marilyn said. As a newcomer to Boise, the group provided Marilyn with opportunities to meet people and be involved in the cultural community. Marilyn also became involved in BAM’s Docent Program during its initial stages, recruiting several members from the Beaux Arts Société. “I assisted with the rudimentary planning and envisioning of the Docent Program and then became a docent myself,” she explained. Marti Agler first brought students to the Boise Art Museum when she was teaching in Mountain Home. When she moved to Boise and taught in the Gifted Program in 1991, she began escorting student groups to the Museum on a regular basis. It was around that time that she helped develop a Junior Docent program with BAM’s Education department and a BAM Docent, to provide students with the opportunity to complete docent training and put their knowledge of the exhibitions to use on First Thursdays. After Marti retired in 2005 she became a Docent at the Boise Art Museum. Bill Agler is quick to remark that “making my wife happy” is a great benefit of their involvement with BAM. Marti enjoys her time spent at the Museum and believes that it is important to guarantee that these offerings will continue in the future. She and Bill will make a contribution to BAM with the intention of perpetuating a higher quality of life for community members.